CHAPMAN ROBERTS debuted in the original Broadway cast of Hair. His subsequent stage appearances included featured roles, on and Off Broadway, in Salvation, Hello Dolly (Pearl Bailey and Cab Calloway), Jesus Christ Superstar (Ben Vereen), and as El Gallo in The Fantasticks. He has recorded with Gregory Hines, Horace Silver, Weather Report, and B.B. King (Grammy). His critically acclaimed vocal arrangements can be heard on eight original Broadway- and West End–cast albums of shows that garnered 50 Tony nominations. Roberts’ vocal arrangements and musical direction have been pivotal in a string of Broadway and West End successes, including, Don't Bother Me, I Can't Cope, the original productions of Eubie, Bubbling Brown Sugar, (Grammy), Your Arm's too Short to Box with God, Blues in the Nite, Five Guys Named Moe and Playwrights Horizons’ Avenue X. He was last presented on Broadway and London’s West End in Smokey Joe's Café and off Broadway in Three Mó Tenors. His film credits include Year of the Comet with Louis Jourdan and Solomon and Sheba with Halle Berry. 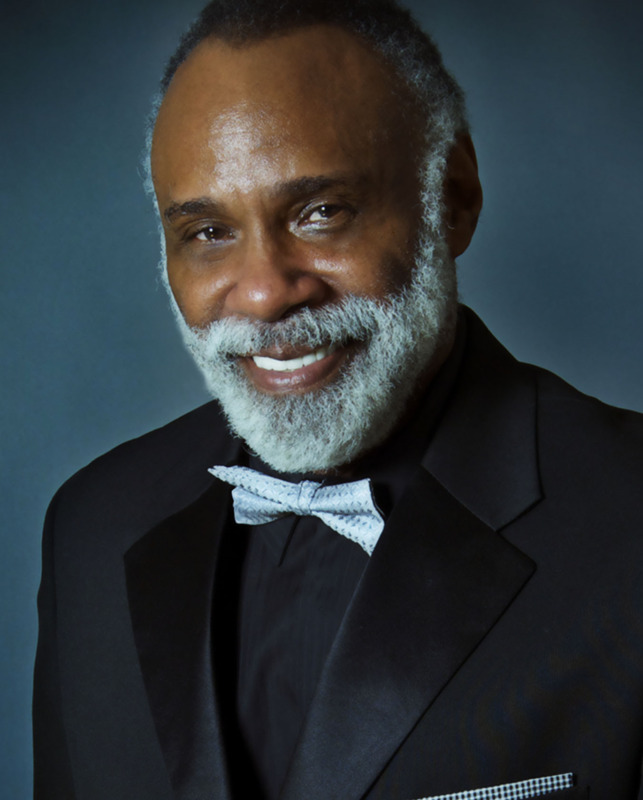 Roberts has served as a special events musical director and supervisor for President Jimmy Carter, Ronald Reagan’s Kennedy Center Honors, Mrs. Lyndon Johnson, the Inaugural Gala of Governor Ann Richards of Texas, India’s Jazz Yatra Festival, Lincoln Center, Manhattan Plaza, Kool Jazz Festival, and St. Peter’s Jazz Church in New York City. His other musical associations include the Duke Ellington and Cleveland Orchestras, Dance Theatre of Harlem, Henry Mancini, Al Green, Patti LaBelle, Bette Midler’s Harlettes, Eubie Blake, Bill Cosby, Harry Belafonte, Sammy Davis, Willie Nelson, Foreigner, Manhattans, Leslie Uggams, Ruth Brown, Freda Payne, Eartha Kitt, Della Reese, Lena Horne, Savion Glover, Paul Simon, Public Theatre, Metropolitan Opera Guild, Rock and Roll Hall of Fame, Richard Allen Center for Culture and Art, Morgan State Choir, American Idol, and President Barack Obama. Chapman Roberts is the recipient of the Josephine, Audelco, and NBTF Living Legend Awards. NORM LEWIS is a Tony Award nominee who has been seen in Film, on Television (Scandal) Broadway (Phantom of the Opera) Opera ( Porgy and Bess with Audra McDonald) and Concert Halls throughout the world. After a year in London playing the role of Javert in the West End’s Les Miserables he performed the same role for The 25th Anniversary Concert at the O 2 Arena which is now on DVD. He is very proud to announce the release of His debut solo CD Norm Lewis, This Is The Life! Norm Lewis appeared in Sondheim On Sondheim w/Vanessa Williams And Barbara Cook, The Little Mermaid, Les Miserables (Drama League Nomination), Chicago, Amour The Wild Party Side Show, Miss Sagon, and The Who's Tommy. Other New York Stage Credits include, Shakespeare in the Park’s Two Gentlemen Of Verona (Drama League Nomination), Lincoln Center’s Dessa Rose, ( Audelco Award for Lead actor in a Musical), Drama Desk and Drama League Nominations, Captain’s Courageous, Lincoln Center’s A New Brain, concerts of Dreamgirls, Chess, Hair, Children Of Eden, Bright Lights Big City and Golden Boy. Regionally Norm has been seen in Dreamgirls w/Jennifer Holliday, Ragtime, The Fantasicks, Baby, Company, and Sweeney Todd (Helen Hayes Award Nomination). His Film and Television credits include: Mystery Woman Woman Guest, All My Children, As The World Turns, The Cosby Show, Strong Medicine, Confidences, And Preaching To The Choir, along with numerous commercials. Norm Lewis’s vision of doing a Carnegie Hall concert celebrating the achievements of Black men on Broadway has resulted in these performances by The Black Stars of The Great White Way at The National Black Theatre Festival 2015. DAVID GREER is a playwright, actor, and Tony-nominated producer. He co-produced Porgy & Bess, Mountaintop, and The Scottsboro Boys on Broadway; co-produced his play Peculiar People at Hartford Stage as an Urban League fundraiser; acted in several plays in Hartford; and his play Hour Farther will premiere at Emerson Theater Collaborative in Mystic, Connecticut this October. He adapted for the stage and has performed Dr. Martin Luther King's Letter from Birmingham Jail for more than 20 years, including sharing MLK Day programs with Angela Davis, Maurice Hines, and Vickie Winans. Mr. Greer also consulted the producer team of Universal Pictures’ James Brown biopic, Get On Up, and appears with Jill Scott in the movie. Originally from Oakland, Kentucky, Mr. Greer is a graduate of University of Chicago Booth School of Business and Kentucky’s Centre College and was selected as a Rotary International Scholar to attend the American University in Cairo (Egypt). He works in corporate finance; served on the boards of Theater Works (Connecticut) and Footlights; has traveled, worked, and/or studied in 17 countries; and is an avid salsa dancer.